Grew up with Parklji Bezigrad (Slovenia) juniors. Signed for the 2008-09 season by TCG Skofja Loka. 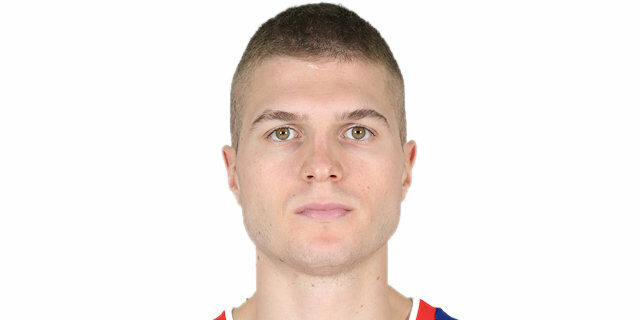 Signed for the 2009-10 season by Parklji Bezigrad. Signed for the 2010-11 season by Krka Novo Mesto. Signed for the 2014-15 season by BC Partizan Belgrade. Moved to Turkey for the 2016-17 season, signed by Banvit BK Bandirma. In December'17 moved to Poland, signed by Stelmet Zielona Gora for the remainder of the season. In December'18, moved to Croatia, signed for the remainder of the 2018-19 season by Cedevita Zagreb. Won the 2010-11, 2011-12, 2012-13 and 2013-14 Slovenian National Championship with Krka Novo Mesto. Won the 2014 Slovenian National Cup with Krka Novo Mesto. Won the 2017 Turkish National Cup with Banvit BK Bandirma. Won the 2011 and 2012 Slovenian Super Cup with Krka Novo Mesto. Played the 2012, 2013 and 2014 Slovenian All Star Game. Played at the 2007 European U16 Championship.